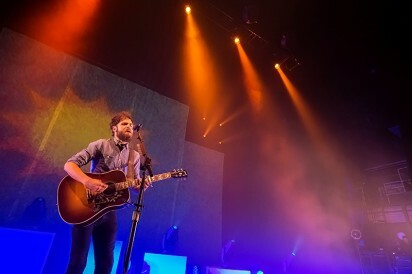 Even before Passenger (aka Michael Rosenberg) takes to the stage at Hammersmith Apollo, his audience is at fever pitch, with every sound technician who arrives to test the equipment receiving an enthusiastic round of applause. 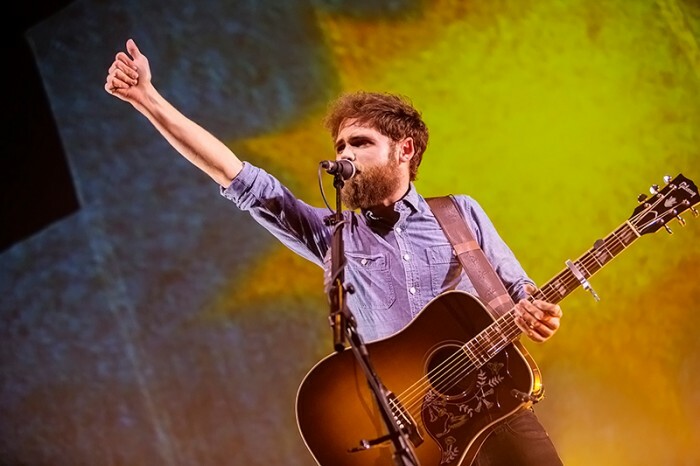 The venue is sold-out and the air is thick with an excitement that only grows more intense throughout Passenger’s 90-minute solo acoustic performance. 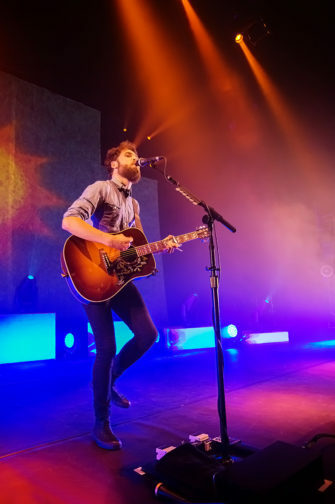 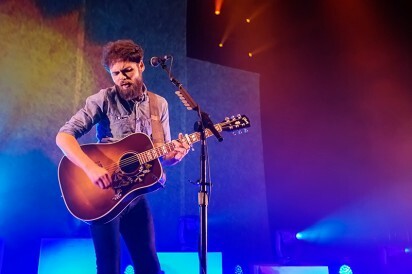 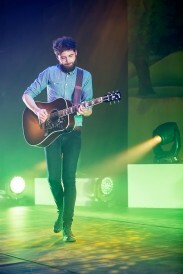 Beginning with Rolling Stone, a track he jokingly describes as “the most depressing song ever”, Passenger plays an eclectic set that incorporates songs from his breakthrough album All the Little Lights and latest release Whispers, as well as obscure material from his back catalogue and dramatic cover versions of pop classics. 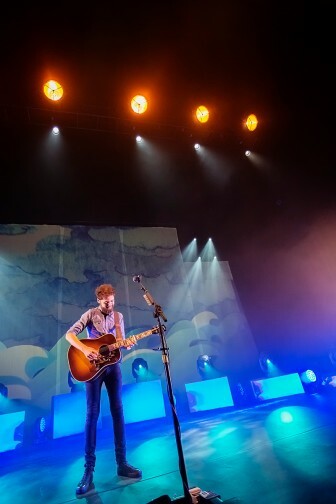 It’s an impressively diverse performance, managing to combine singalong anthems (Scare Away the Dark) with earnest laments (Riding to New York) and tales of lost love (Let Her Go). 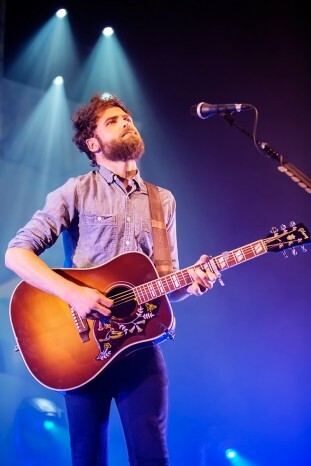 As a singer-songwriter, Passenger sits somewhere between Ed Sheeran and Frank Turner. 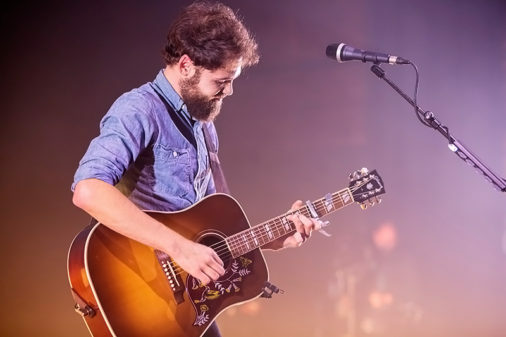 His songs have catchy, radio-friendly melodies and would make perfect folk-inflected pop hits if not for his surprisingly abrasive lyrics. 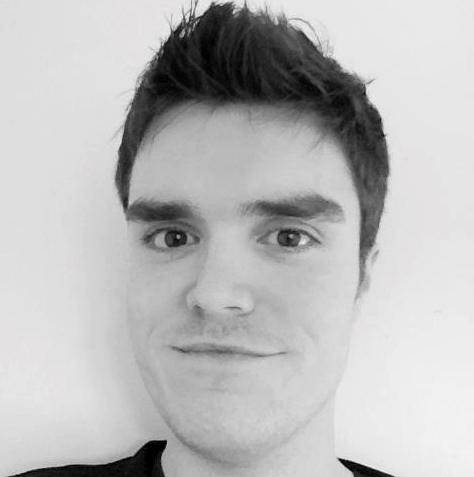 Directing his scorn at everything from The X-Factor to smartphones, Passenger’s darkly comic rhyming couplets are colourful and quirky, if occasionally a little facile. 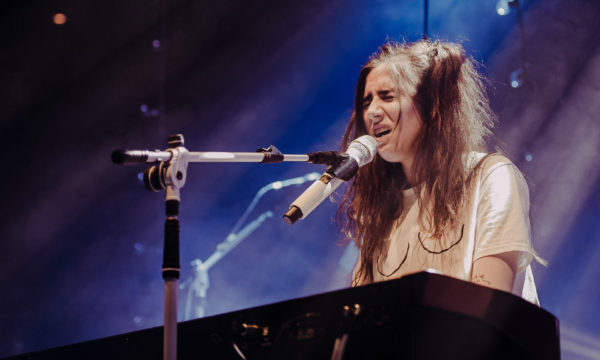 The song I Hate is one of the worst offenders in this regard, containing zany lines about cooking fajitas for fussy eaters and the inconvenience of queuing for festival toilets. 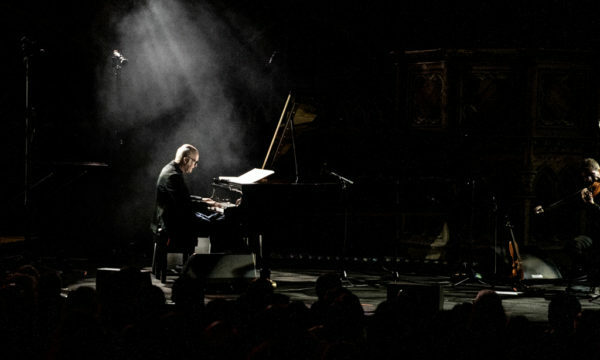 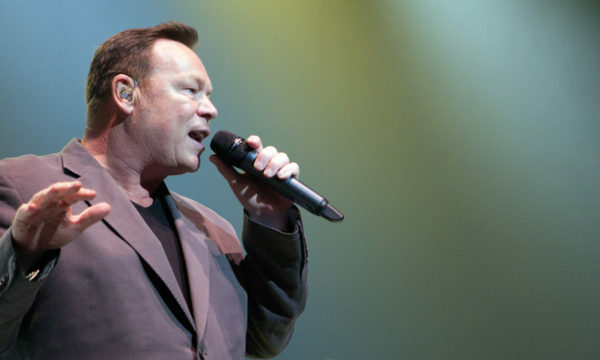 It’s no surprise that his biggest hit to date, the affecting Let Her Go, is also one of his most conventional and lyrically direct compositions. 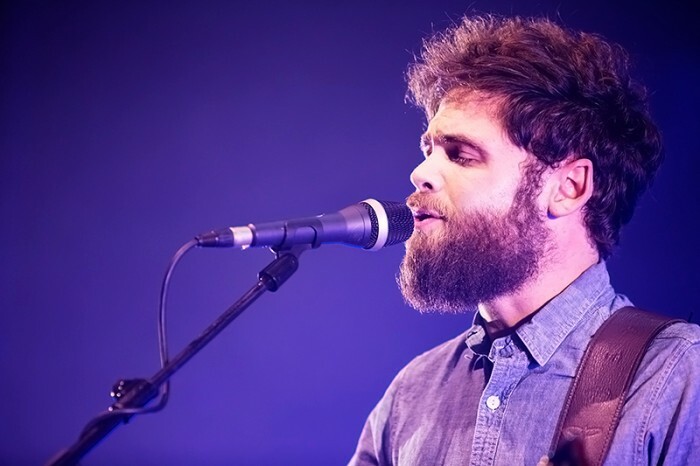 Passenger excels as a performer, and not just because of his distinctive vocals or skill with the guitar. 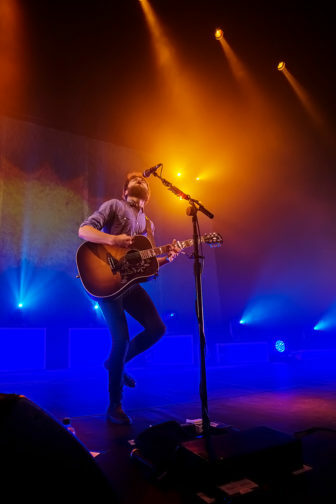 Even though he’s performing without a backing band and with only a series of projected backdrops for visuals, he’s quite the showman. 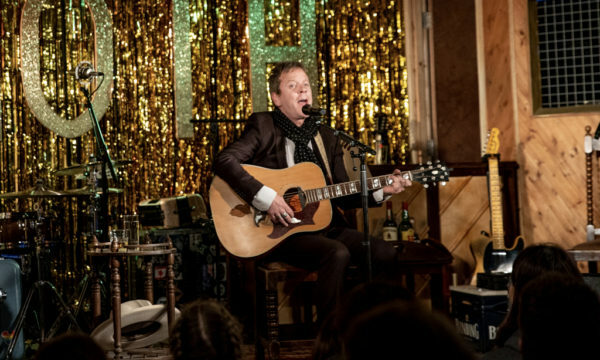 Throughout his set, he mixes self-deprecating quips about his “obnoxiously tight jeans” with heartfelt anecdotes and tales from the road. 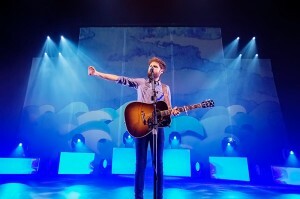 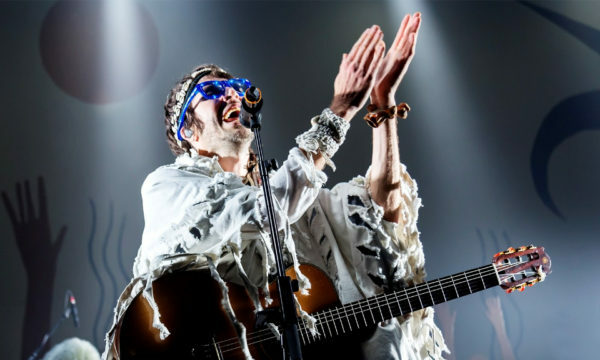 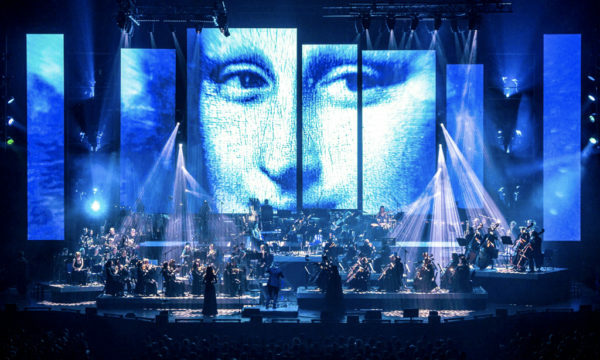 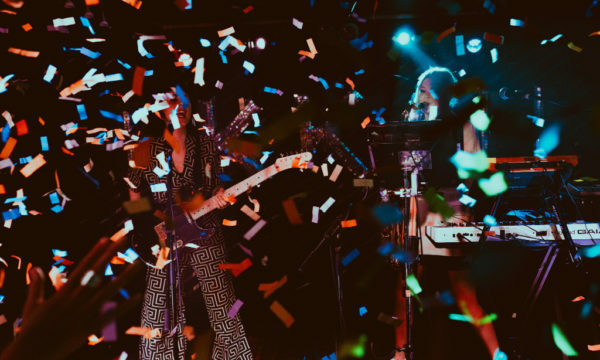 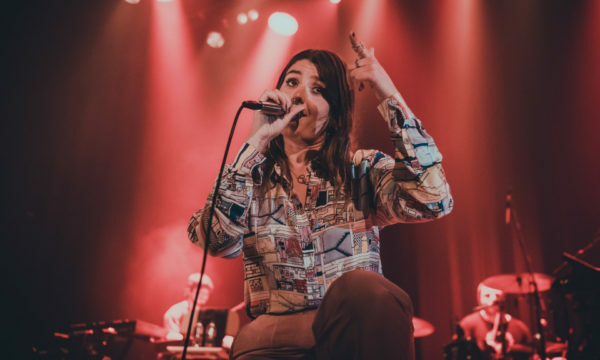 The audience is actively encouraged to participate in the show: raising their lighters, chanting lyrics at the stage and clapping in time with the music. 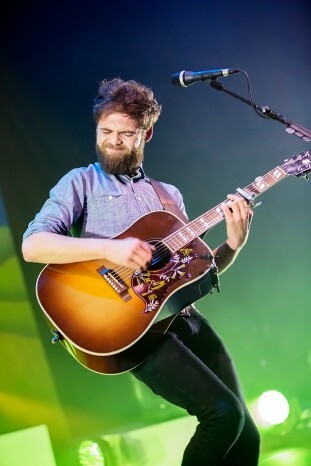 They clap him all the way to an encore featuring his Newfoundland-based support act The Once, in which he covers Bruce Springsteen, Van Morrison and Fleetwood Mac in quick succession. 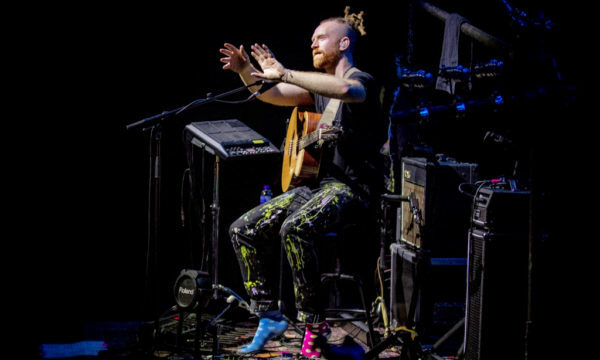 It’s a fitting finale for a thoroughly crowd-pleasing performance, sending his legion of fans home smiling and satisfied.